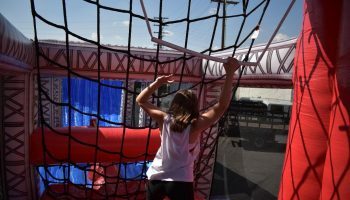 Kids and adults from all walks of life and every corner of the california coast will come together to pursue their common dream of reaching the warped wall on the Ultimate Ninja Warrior Obstacle Course. 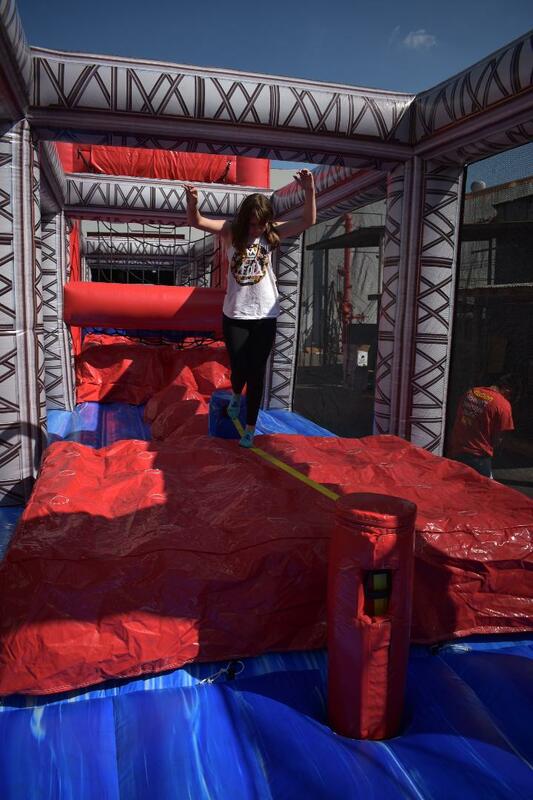 Each trying to set the new fast time for there event and become the fastest ninja warrior of the party. 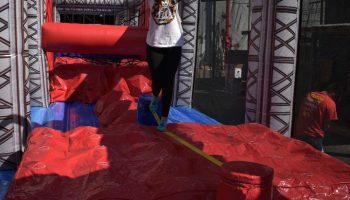 Your guests will try to push through seemingly impossible tests of strength and endurance. 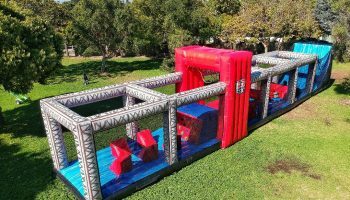 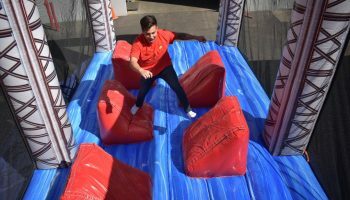 Trying to complete the Ultimate Ninja Warrior Obstacle Course without getting a time penalty is challenging and will keep your guests attempting another round. 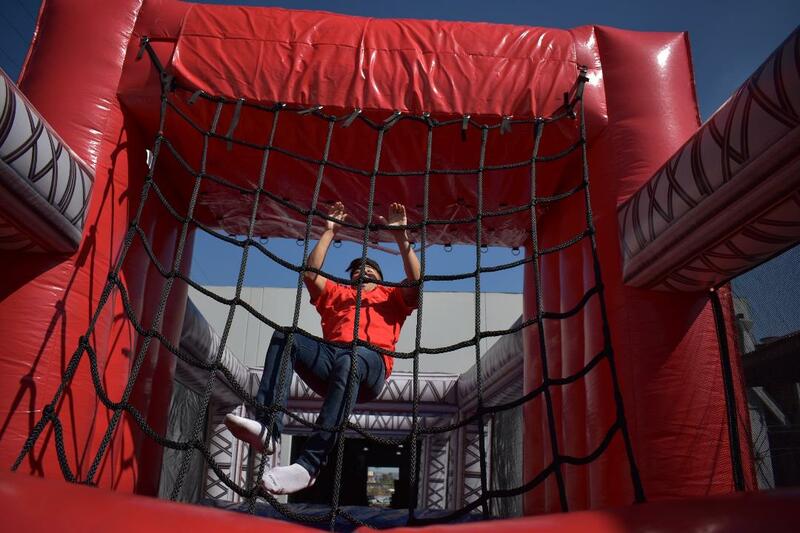 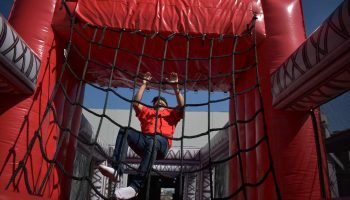 The challengers stop at nothing as they take on a growing number of competitors and an ever-changing set of obstacles. 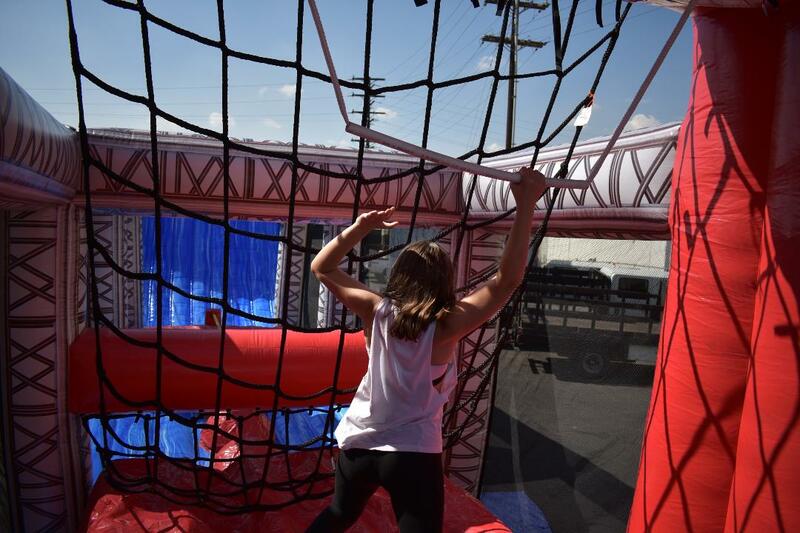 Please Check Out The Video By Clicking Here. 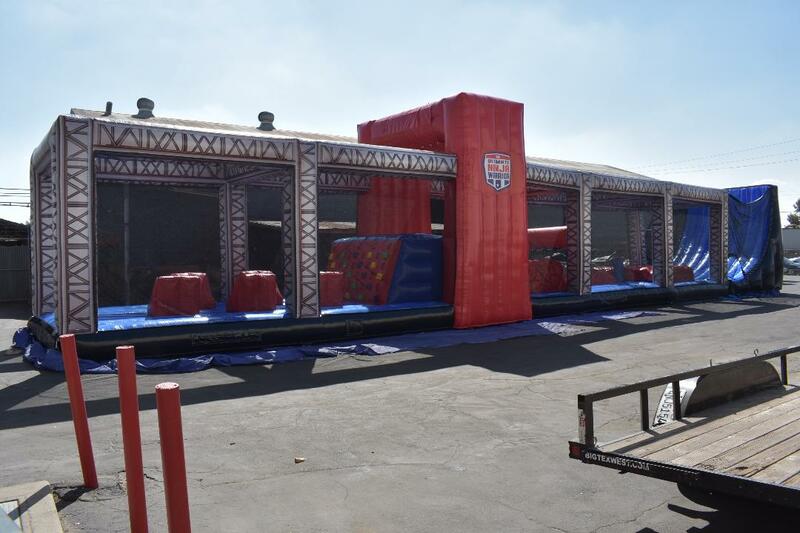 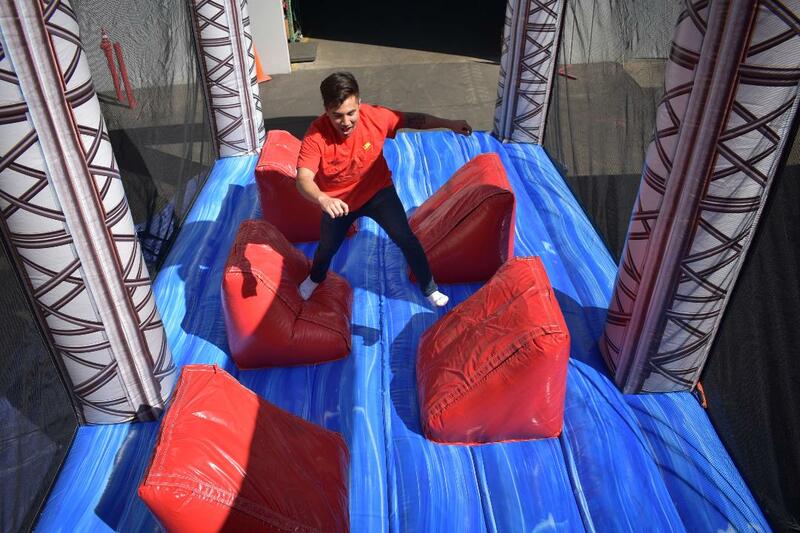 The Ultimate Ninja Warrior Obstacle Course has many challenges in the course. 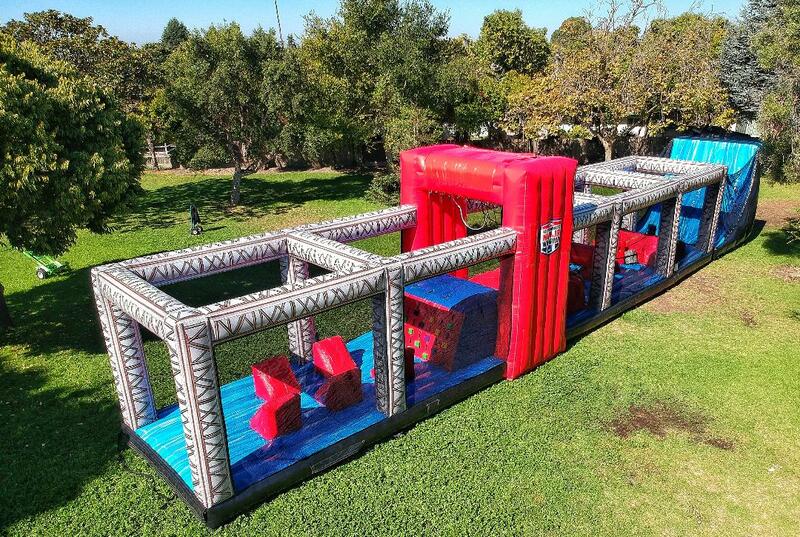 We have also included a timer to time how long it will take to complete your challenge. 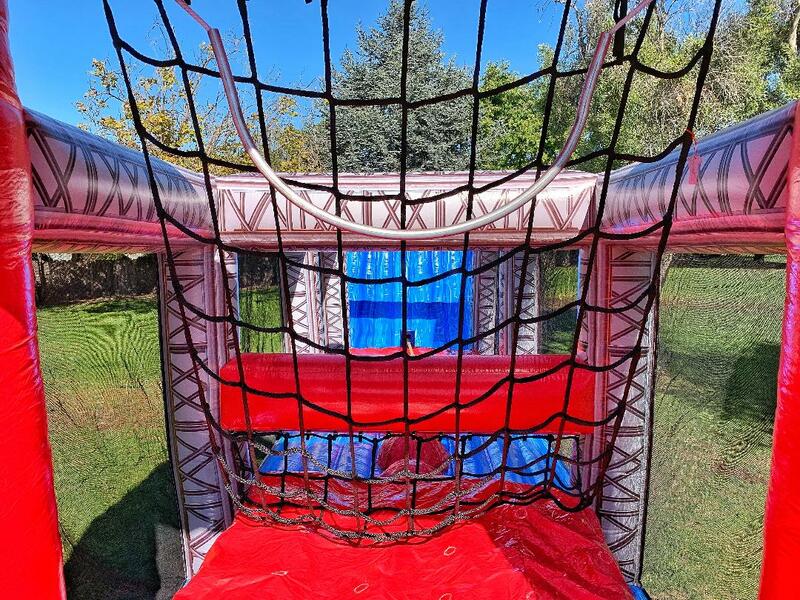 There are many different activities are the side to side board run. 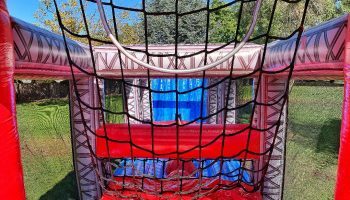 The cargo net climbing wall, we also have installed our famous slack line balnce beam. 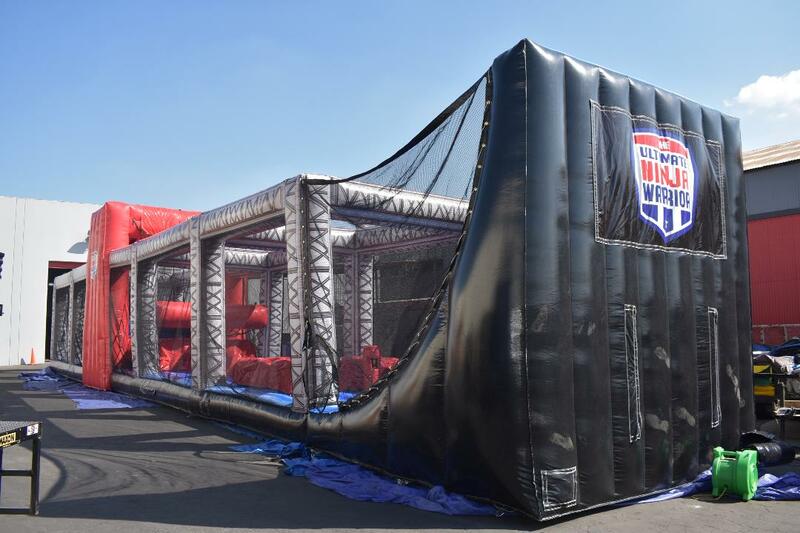 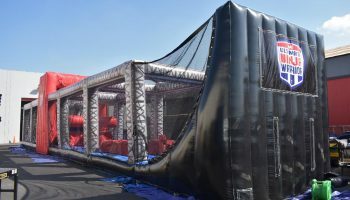 To finish the Ultimate Ninja Warrior Obstacle Course with our ever so popular waped wall you must run up the wall and rip down a flag and then push the end button to get your final time of your challenge. 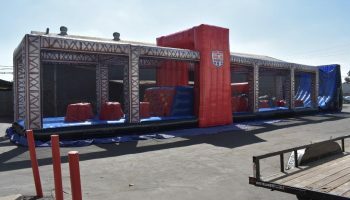 Space requirements: Length: 110 ft x Width: 20 ft x Height: 18 ft.
Price: Please call 888-630-3866for info.